In the middle of the farming community of Gaston there is a little gem called the Barking Cow Ice Cream Parlor. This ice cream parlor (Old Fashioned Ice Cream) hosts an eclectic array of items from the area. The town itself has a population of about 850 folks. I took my family over on a Friday evening after dinner for destination drive and a treat. I’d heard of this place but hadn’t had any reason to drive there….. I mean, just for ice cream. Let me tell you this is a neat little place. We happen to be able to speak to the owner, Cary Malchow, and he gave quite a history. The “mascot” (if you want to call it that…) is a black and white cow which Cary says is named Sylvia after his grandmother. He came up with the name after looking into the town archives. In 1913 there were gas well fires around the area. A calf that lost it’s mother in the fire was placed in a pen with some dogs. The farm where is was living had another gas well fire and the cow started barking to warn the farmer. Cary tells the story much better than I do but you get the gist. My daughter ordered the Cookie Dough Ice Cream and I ordered the Amaretto Cherry Cordial. Very tasty and I’m not a fan of dessert. My daughter said it was the best Cookie Dough ice cream she had ever had. I noticed a flavor called Delaware County Pothole which I find rather humorous. 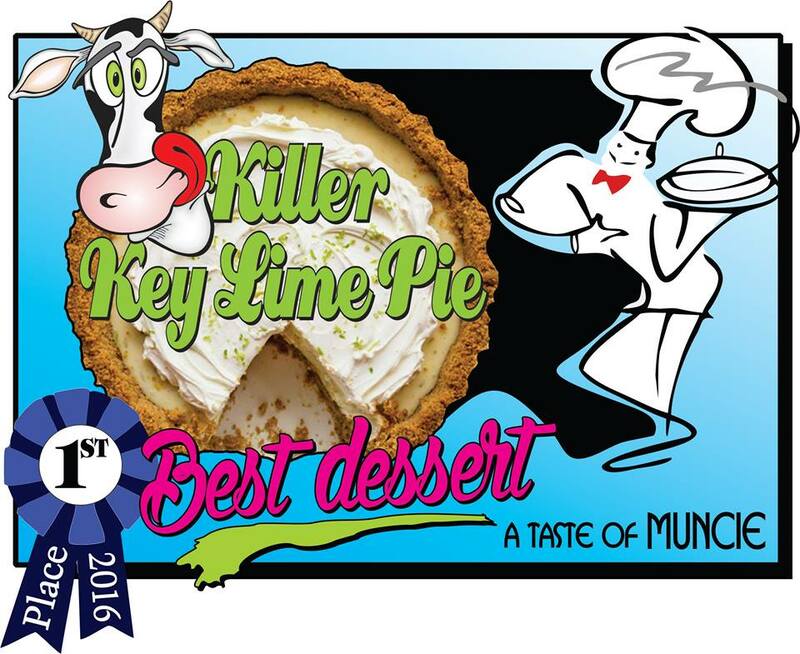 At the annual Taste of Muncie event they won first place for best dessert: Killer Key Lime Pie Ice Cream. Cary says they try to change the ice cream flavors regularly. They do have some non-ice cream related items like Hot dogs, Coney dogs, Chicken salad, Tacos and on the weekends they have a 1 pound loaded baked potato. Cary says it’s affordable and you can adorn it with various items like the taco toppings. They don’t have a large menu but they try to do what they have well. 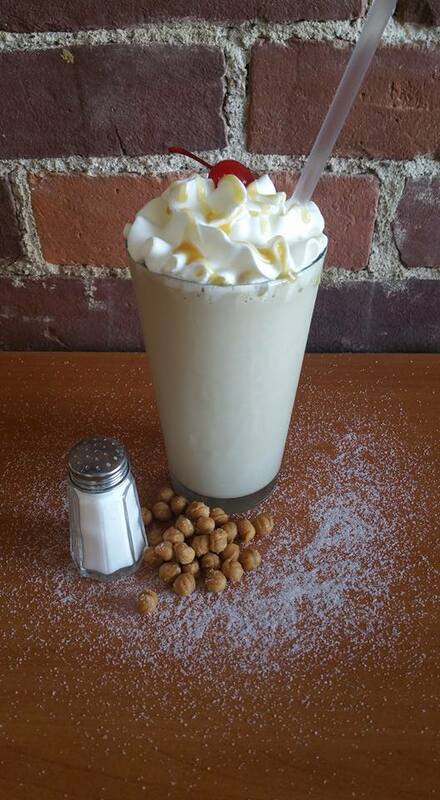 The Barking Cow is about four blocks from the trail so I’d think it might be a good place to take a break, get some water, or of course ice cream! If you think driving all that way for an ice cream cone seems silly you can buy buckets of ice cream to go. That has to make it worth the trip!? Right! 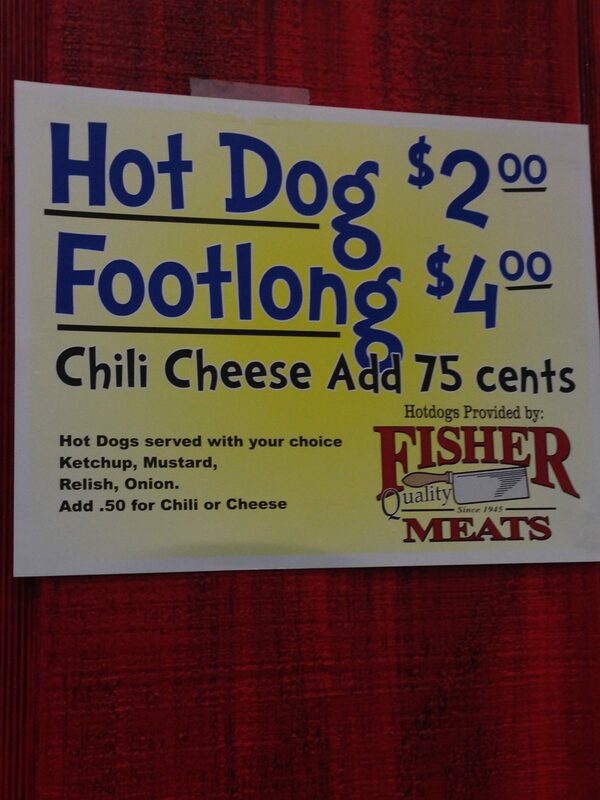 You can find them at 103 W. Elm St. Gaston Indiana. Hours at 12:00 noon to 8:00 p.m. but they extend their hours in the summer to 10:00 p.m.
Great place owned by a great family! Thank you for commenting! I like what they are trying to do with the town. 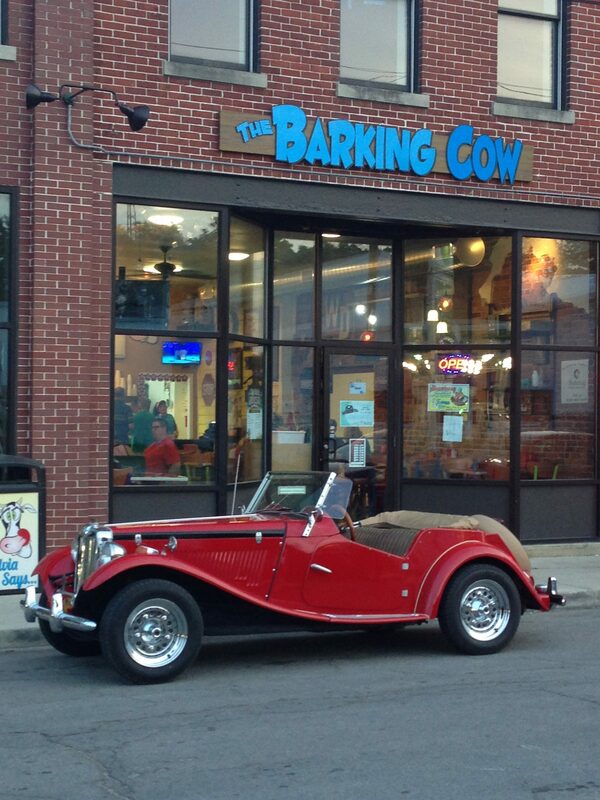 Loved you review of the Barking Cow, I am from Gaston, born and raised but now live in Ohio. Makes me want to come for a visit! I am a Janney and feel my roots pulling me home so now I have a reason for a road trip! Thank you! I hope you get to come back and try it!